It's time to celebrate our favorite food season! Fall Equinox is upon us September 23, marking the first day of autumn in the Northern Hemisphere. It is also the day the Sun moves into Libra, the seventh horoscope sign. Libra rules the House of Partnerships along with its ruling planet Venus, the Goddess of Love. 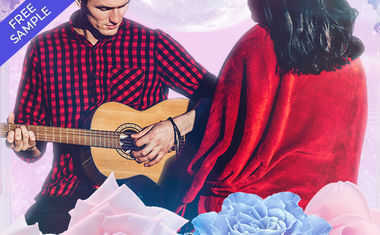 Of course, the 7th House signifies all relationships, not just the romantic ones, but any time Venus is involved it is a plus for those seeking romance. Each of the twelve horoscope signs rules a different part of the body, and Libra rules the kidneys. Anyone can benefit from eating foods that support the kidneys, but especially Librans. The following foods and recipes are chosen especially for Libra to give kidney function a boost! Oh, right, and they're delicious, too! Pumpkin: Pumpkin is a good source of calcium, potassium, and vitamins A and C. It is healthy for many functions of the body, but it is very good for kidney health. Pumpkin seeds also help prevent kidney stones, so don't throw away the seeds. Not only is pumpkin great for Libras, but it is a representation of the Fall harvest and the Equinox. Raisins: These delicious little gems have ample amounts of calcium, fiber, iron, phosphorus, potassium, and vitamin A, B, and trace amounts of C with anti-inflammatory, anti-aging, and antioxidant properties, thus providing many health benefits for the body, specifically for the kidneys. They are a good choice for Libras and other signs desiring healthy kidneys. Tired of pumpkin pie, muffins, and bread? This is a delicious way to use your Fall pumpkins! 1. Preheat oven to 400º. 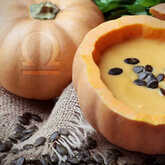 Toss pumpkin with 4 tablespoons of olive oil and salt in a large mixing bowl until pumpkin is lightly coated with oil. 2. Transfer to baking pan and roast for 30 minutes or until pumpkin is browned. Remove from oven and set aside. 3. Fill a large stock pot with salted water and bring to a boil. Add the pasta and cook until al dente. Drain, place in a large bowl, and set aside. 4. In a heavy-bottomed sauté pan, heat the remaining olive oil over medium-high heat and sauté the garlic and the onion together, stirring constantly for 2 minutes. Add the sage and continue stirring for another minute. 5. Remove sausage from casing and add to the sauté pan, stirring together until crumbly and browned. 6. Add the pumpkin to the mixture with the heavy cream, stirring to mix thoroughly, and bring to a low boil. Reduce the heat and simmer for 5 minutes, stirring until creamy consistency. 7. Season with salt, pour over pasta, and toss. Divide among eight serving bowls and garnish with Grana Padano. This is a wonderful comfort dessert as the air starts to get crisp and the sun sets earlier in the evenings. 1. Chill a stainless steel bowl in the freezer for a half hour. Remove the bowl from the freezer, add heavy cream, and beat with an electric mixer until soft peaks form. 2. Add sugar and vanilla bean and continue beating until stiff peaks form. Refrigerate or serve immediately. 3. Preheat oven to 350°. Spray a large deep-dish baking pan with non-stick spray. Arrange bread evenly in baking pan. 4. Whisk together all remaining ingredients in a large mixing bowl. Pour mixture over bread and let sit for 15 minutes, until bread absorbs custard. 5. Place baking dish into a larger baking dish and fill with boiling water until it hits half way on the smaller dish. Cover the large dish with foil, making sure that the foil does not touch the custard, and place on the middle rack in the oven. 6. Reduce heat to 325°. Bake for 50 minutes, remove the foil, and bake for another 15 minutes or until browned on top. 7. Allow to cool for 20 minutes, and serve warm with whipped cream.